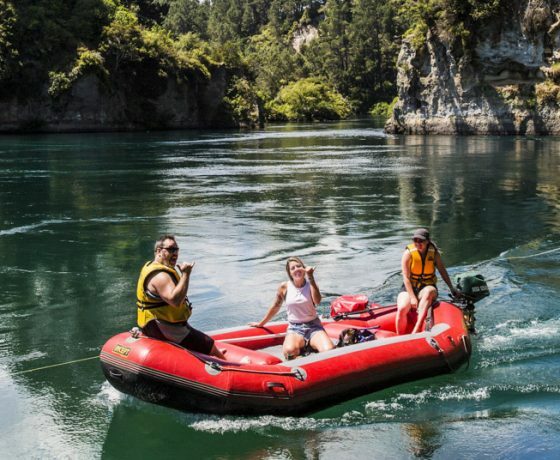 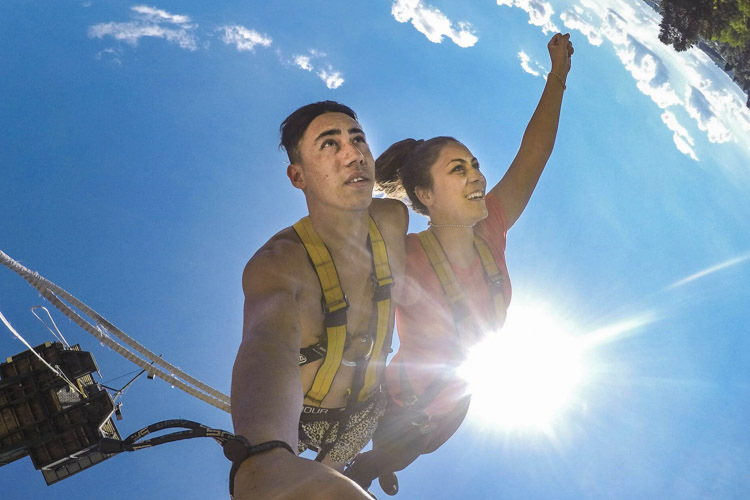 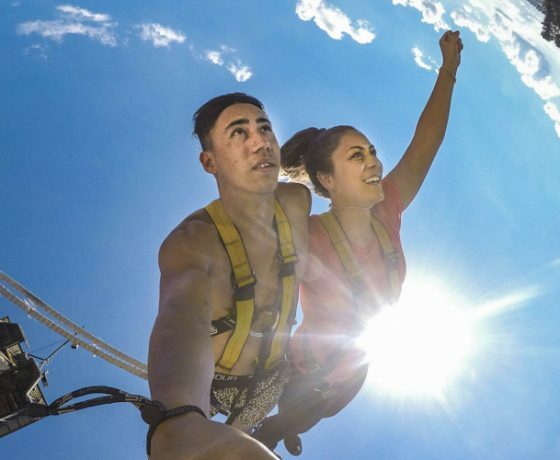 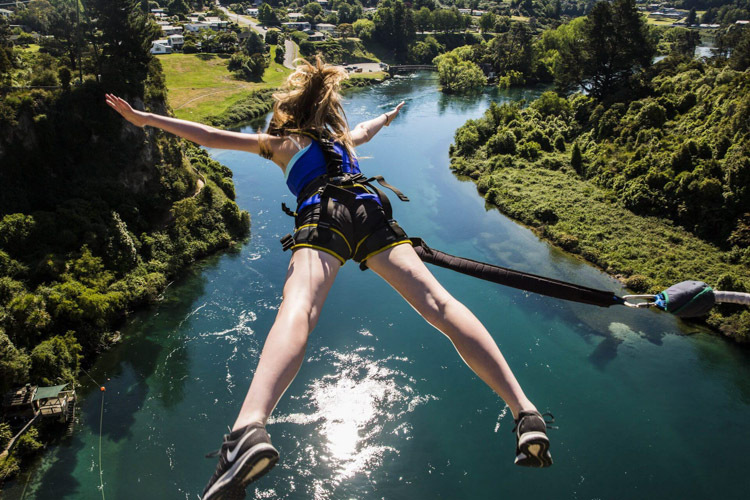 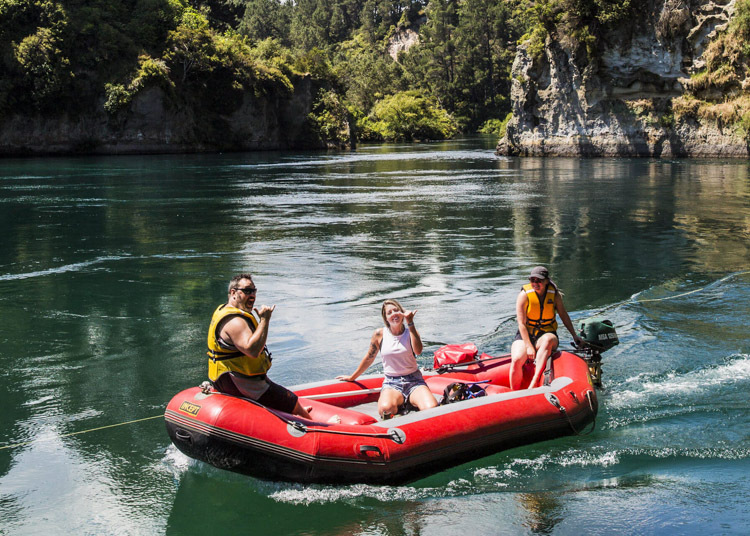 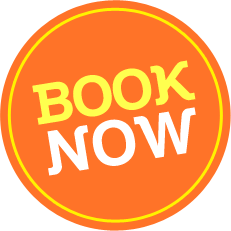 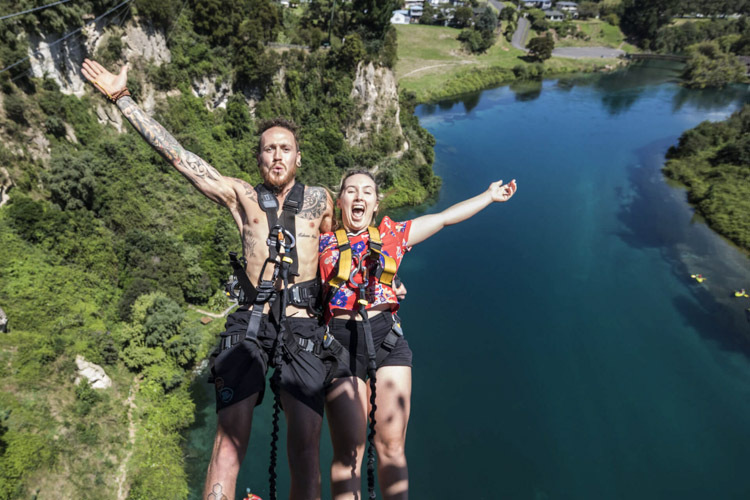 Located just 5 minutes from Taupo township, Qualmark endorsed ‘Taupo Bungy’ specialise in getting you wet with New Zealand’s highest water touch bungy, a real blast and the North Island’s most popular bungy jump. 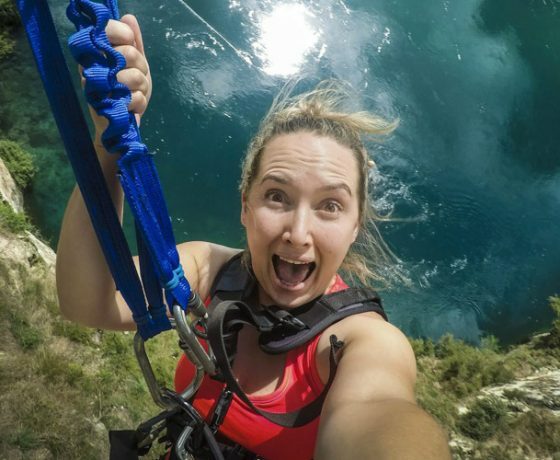 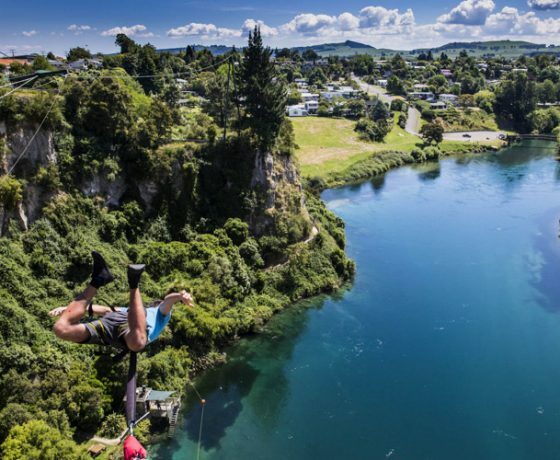 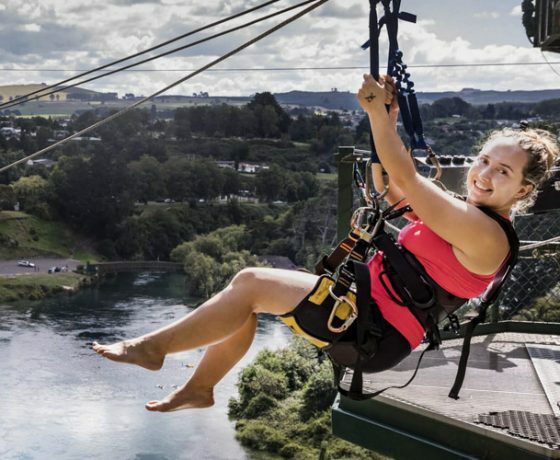 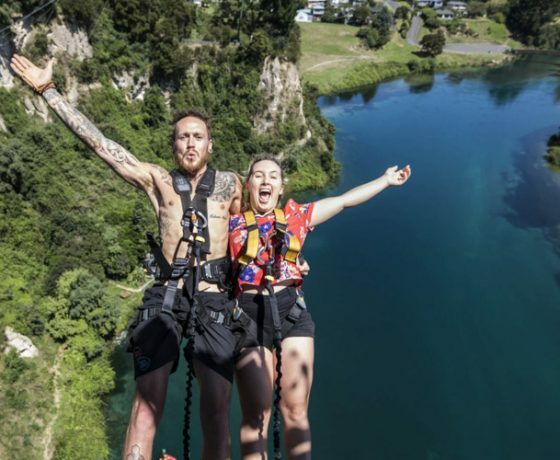 On a platform located 47 metres above the Waikato River you can be dunked from your fingertips to your ankles or alternately you can swing with nature on the ‘Taupo CliffHanger’ an extreme activity where you can go feet first instead of head first! 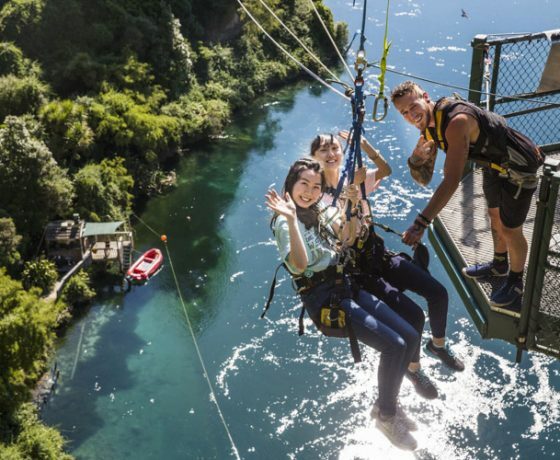 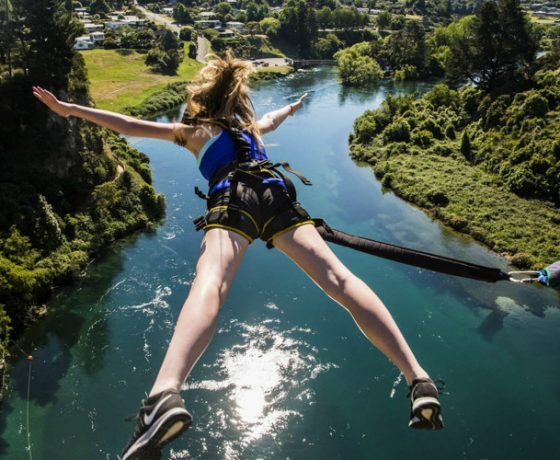 The North island’s most popular bungy jump is a real blast. 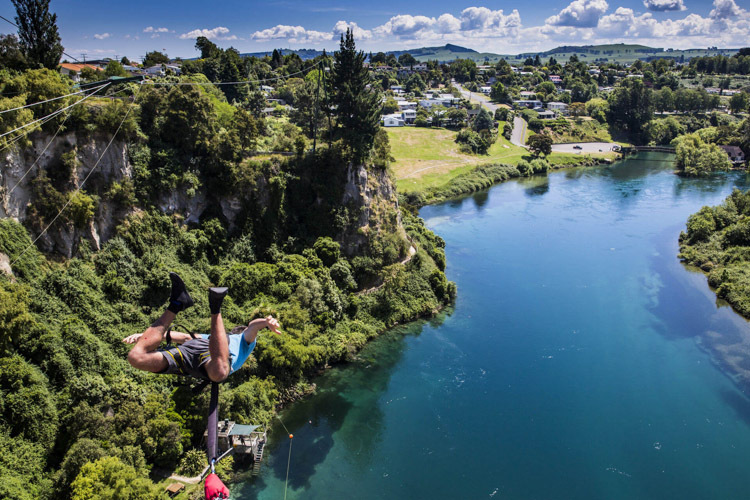 Our unique cantilever platform projects out from the cliff-top, above the inviting waters of the Waikato River below. 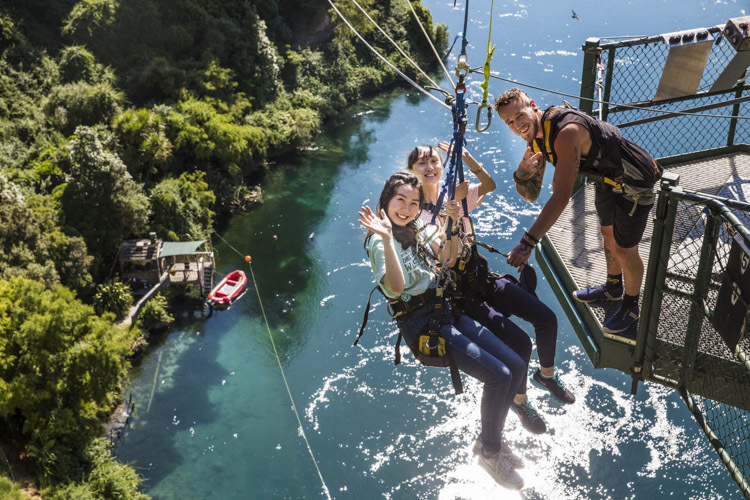 Whether you choose to bungy solo or tandem, our highly trained crew pride themselves in providing you with an exhilarating and safe bungy experience. 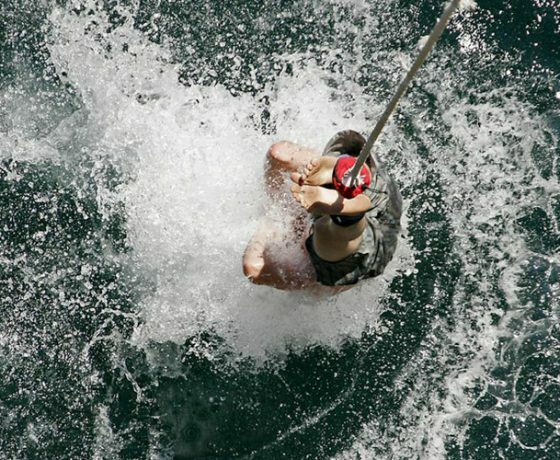 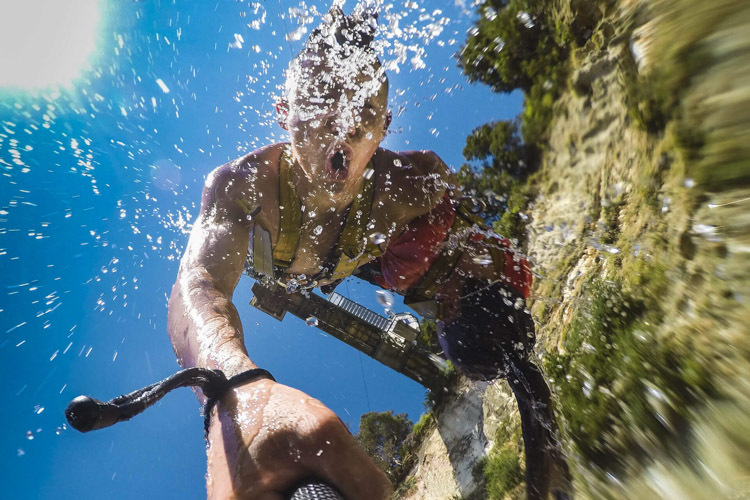 If you want to add even more thrills to your jump, why not try a water touch? 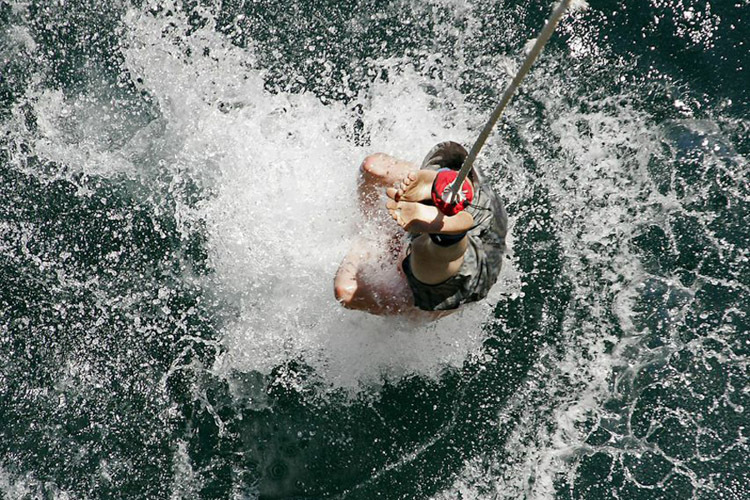 We endeavour to deliver a refreshing adventure. 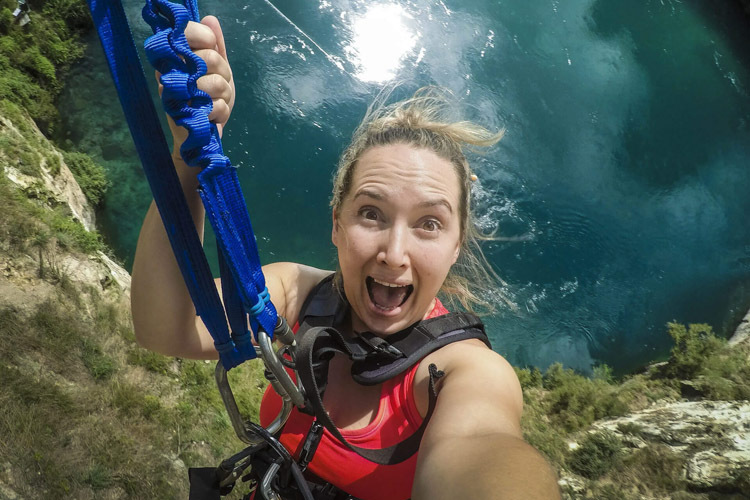 Check out the stunning views as you stand above the crystal clear waters before you take the plunge and for an additional thrill why not try a water touch be it just your hands or a full body submersion. 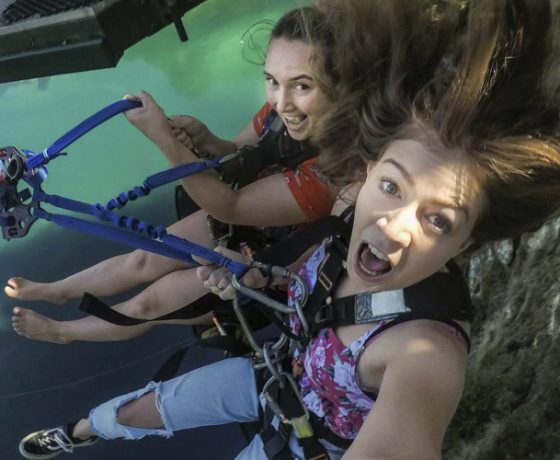 This extreme swing is perfect for those challenged by the idea of leaping from a platform head-first. 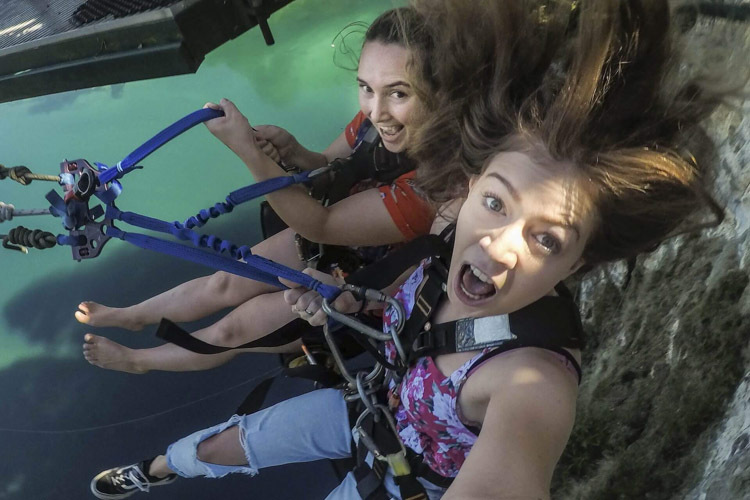 The Cliffhanger is a feet-first freefall and mind-blowing rush! 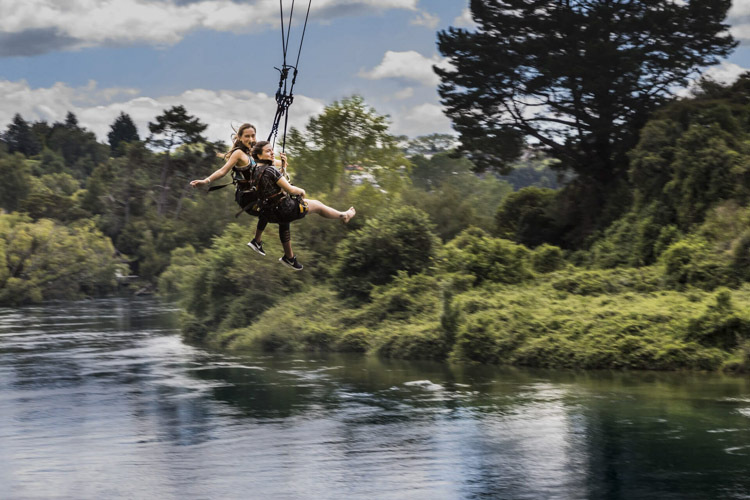 Usually done in a seated position, we harness you up, leave you hanging mid-air for a few seconds before pulling the release pin – and away you go. 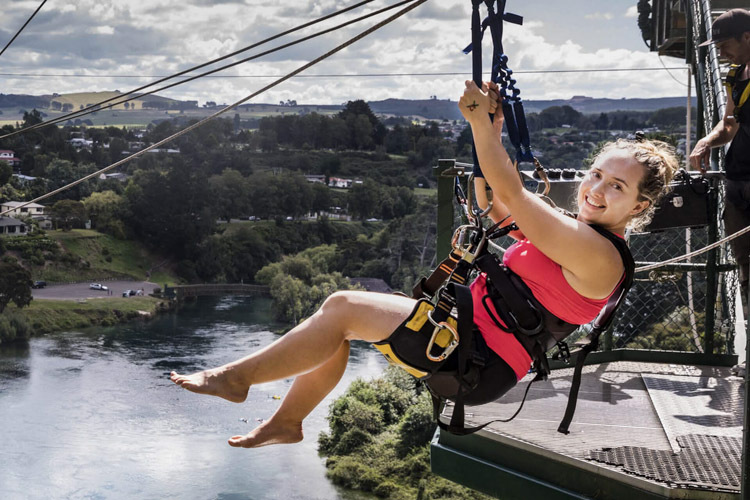 Reaching speeds of up to 70 kp/h and arcing up to a 180 degree angle, this is much more than a swing in the park! 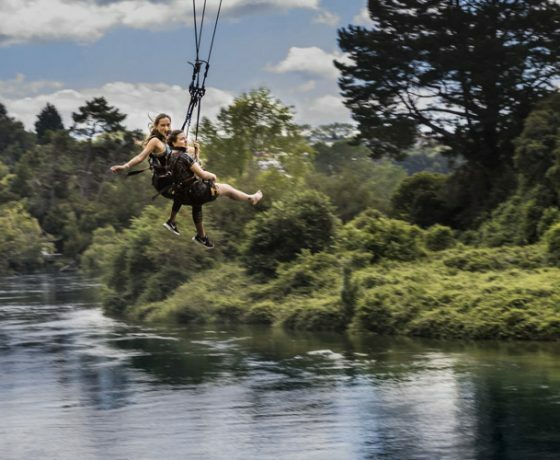 As the swinging slows down marvel at the stunning scenic beauty of the river valley as you enjoy the ride back to the platform. 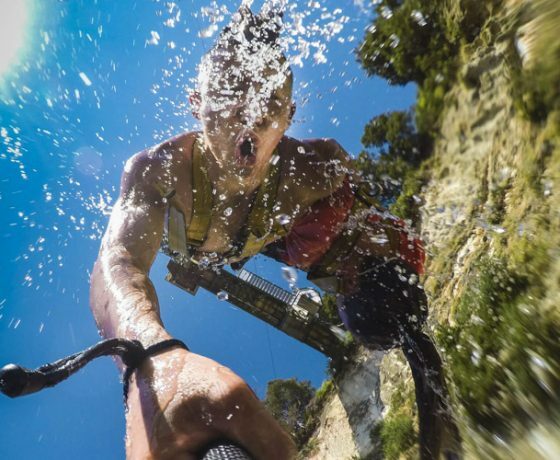 Tandems recommended.